In 2016 and 2017, Carson+Co Global partnered with Hear Nebraska, a Nebraska nonprofit cultivating the state’s music and arts scene through multimedia journalism, in making their annual music festival, Lincoln Calling, a low-impact event. 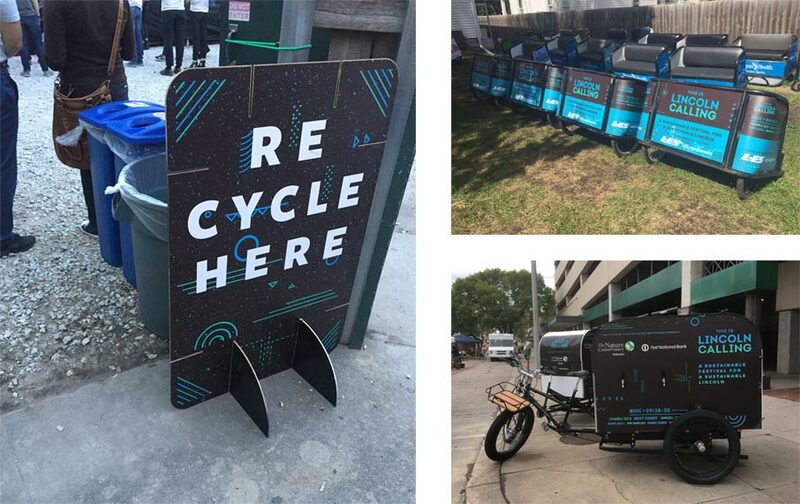 After gaining experience supporting Lincoln Calling in 2016, we expanded our scope of sustainability initiatives for the 2017 festival, working with Hear Nebraska to implement sustainability efforts beyond recycling and including branded materials to foster communication with festival-goers. To implement recycling at Lincoln Calling’s eight unique venues, we worked with recycling and waste collectors throughout Lincoln to identify the best ways to utilize their services. When needed, we problem solved to ensure that recycling was available, user-friendly, and clean at each venue. Beyond recycling, our sustainability and creative strategies included recruiting volunteers, implementing water drinking stations to offset bottled water use, coordinating pedicabs and a public bus route for more efficient travel by festival-goers, and marketing the festival’s sustainable features to a wide audience of Hear Nebraska’s following. 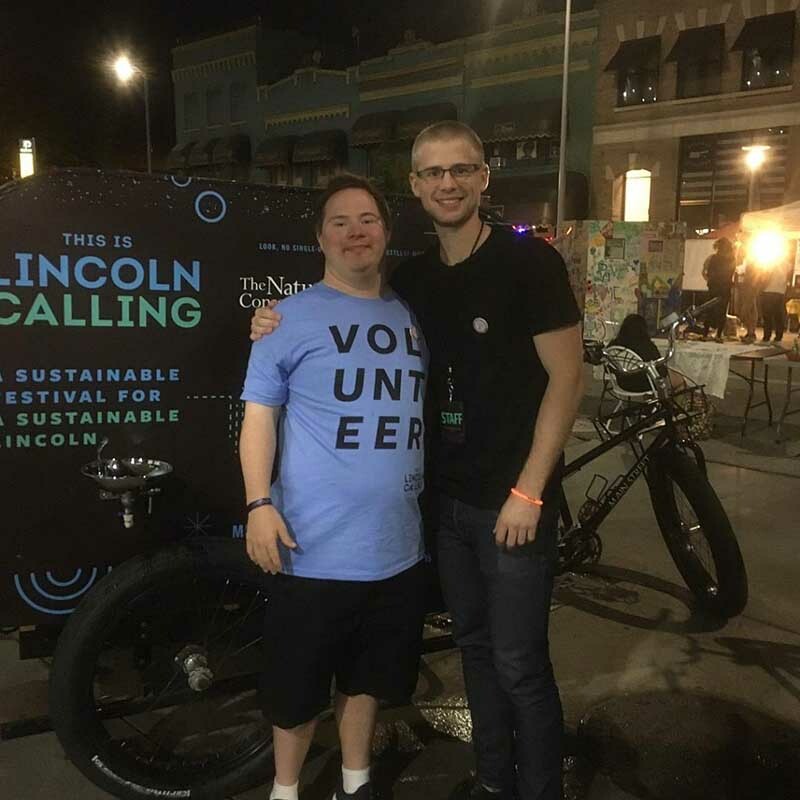 By providing support from within our team, recruiting 30+ volunteers to cover more than 40 shifts over the festival weekend, and developing specialized training materials for volunteers and bartenders, Lincoln Calling 2017 was a more positive experience for venue bartenders, volunteers, and organizers — resulting in over 1,100 pounds of recycled glass, paper, and cans. Compared to eight bus ride users at Lincoln Calling in 2016, we reached 365 festival goers in 2017 who utilized our bus services, reducing the amount of vehicles on the road heading to and from the festival venues. We credit some of the positive turnout and effort to a comprehensive training packet that HN developed and provided to each volunteer along with a Sustainability Initiatives guide we developed.